A. Osteoarthritis, a degenerative joint disease, is caused by the breakdown of cartilage, which is the connective tissue that cushions the ends of bones within the joint. It is characterised by pain, joint damage, and limited motion. The disease generally occurs later in life, and most commonly affects the large weight-bearing joints. Age and obesity are risk factors for this condition. they do not reverse arthritic pathology and are common causes of stomach irritation and bleeding. Arthritis is neither an inherited condition nor inevitable with age. In fact, joint health is more to do with our diet than our genes. For healthy joints we need to eat the right foods and to exercise regularly to conserve mobility – see below. Q. What causes inflammation and what are its effects? A. When inflammation occurs, chemicals from the body’s white blood cells are released into the blood or affected tissues in a reaction originally designed to protect your body from invading micro-organisms. This release of chemicals increases the blood flow to the area of injury or infection, and generally results in local redness, warmth and pain. Some of the chemicals cause a leak of fluid into the tissues, resulting in swelling. This process may stimulate nerves and cause pain. 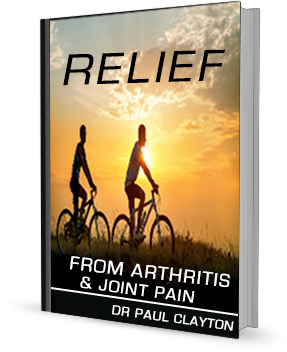 The increased inflammatory substances within the joint cause irritation, tissue damage, further wearing down of cartilage and swelling of the joint lining. Q. Why doesn’t JointShield contain chondroitin? A. Chondroitin is an alternative to glucosamine, but it is no more effective and considerably more expensive than glucosamine. Q. Should I also take an Omega 3 supplement? A. 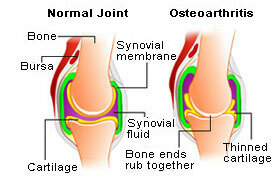 Many people find that Omega 3 oils are additionally beneficial in the case of osteoarthritis. Uni-Vite produces a very comprehensive supplement called NutriShield, which contains not only Omega 3, but significant levels of anti-oxidant nutrients that will work synergistically with JointShield. Q. What else can I do to help reduce inflammation? Anti-oxidants (from fruit and vegetables) to neutralise free radicals. Fruit and vegetables provide us with vitamin C plus a whole armoury of other anti-oxidants, such as the carotenoids and flavonoids, which work together as a network to tackle toxic free radicals. The ratio of Omega 6 to Omega 3 essential fatty acids in the diet is important, because of the significance of Omega 3 to heart, brain and joint health.If the intake of polyunsaturated seed-derived oils, rich in Omega 6 (eg. from sunflower, corn and safflower), is high compared with the intake of Omega 3, then inflammation often results. Oils that are rich in monounsaturates, such as olive oil, rapeseed, avocado, almond and most other nut oils are preferable.